Skeen’s practice focuses on complex litigation matters in federal and state courts, including wage and hour class actions, trade secret litigation and various employment matters. He also advises retailers and other businesses on public accommodation access laws, including Title III of the Americans with Disabilities Act and California's Unruh Act. Skeen counsels companies on various topics including wage and hour issues, unfair competition, trade secrets, privacy, terminations, employment agreements, accommodating disabilities, and employment policies and procedures. He has successfully represented clients in individual and class action suits involving claims for unfair competition, misappropriation of trade secrets, violation of the Consumer Legal Remedies Act, unpaid wages, overtime, discrimination, harassment, retaliation, wrongful termination, fraud and defamation. Skeen has defended gas retailers and wholesalers in litigation involving claims in excess of $50 million and has also defended publicly traded energy companies in cases with over $50 million in exposure. As a business litigator, Skeen achieved over $11 million in reported settlements in 2010. Skeen is currently defending businesses and retailers against a variety of employment and civil rights disputes, including wage and hour class and individual actions, wrongful termination, Unruh Act and discrimination claims. He is representing dozens of retailers throughout the State of California in defense of ADA access litigation. He is also representing a large national restaurant chain in a putative wage and hour class action involving claims for missed meal and rest periods, overtime, failure to provide accurate wage statements, waiting time penalties and penalties under the Private Attorney General Act. Skeen currently serves as outside general counsel to largest independent grocers and convenience store association in California, Nevada and Arizona. Skeen is experienced in handling trials, mediations, arbitrations and administrative hearings before state and federal courts, as well as the Equal Opportunity Employment Commission (EEOC), Department of Labor Standards Enforcement (DLSE), Department of Fair Employment and Housing (DFEH) and Federal Investment Regulatory Authority (FINRA). He has been included in Southern California Super Lawyers in Business Litigation in 2009, 2010 and 2011. 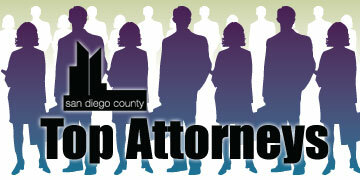 Prior to joining Fisher & Phillips, Skeen was a partner at Procopio, Cory, Hargreaves & Savitch, LLP, in San Diego. 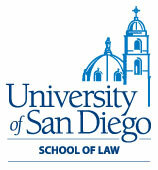 Skeen is co-chair of the San Diego County Bar Association, Labor and Employment Section, a member of the Labor and Employment Section of the California State Bar, a member of the Association of Business Trial Lawyers and a member of the American Bar Association Class Action and Derivative Suits Committee. Skeen is also active in his community, contributing time to business and youth organizations. He has coached Little League baseball for several years and currently serves on the Board of Directors for the San Ysidro Chamber of Commerce.